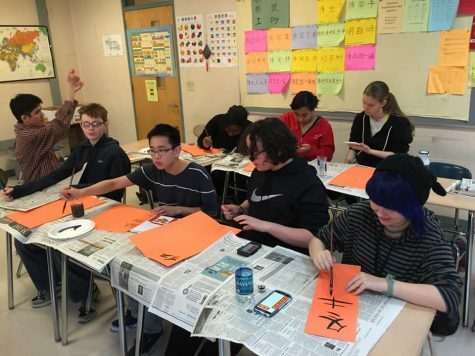 On Friday, February 1, BHS Mandarin teacher Bo Wu was told news she never expected to hear. Due to the lack of enrollment, her class is no longer in the school board’s interest, therefore, Mandarin will be cut. Wu and her students are confused and devastated as to where this quick decision came from. At the School Committee Meeting on February 5, over 20 parents, students and teachers spoke during public comment to urge Superintendent Meg Mayo Brown—who made the decision—to change her mind. 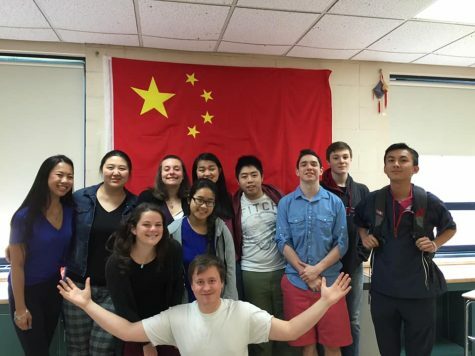 “Eliminating [Mandarin] from the program of studies limits Barnstable High School students so much. There’s so much less variety,” said sophomore Bella Joiner at the meeting. The reason Brown gave for cutting the course is not due to the content nor the teacher, but the amount of students enrolled. “I struggle with looking at numbers in terms of what our budget is, and in terms of the resources I have to lead the school district when there at 43 students in total in four classes,” said Brown, at the meeting. The course is being “phased out,” meaning that next year there will be no Mandarin I class offered. Students enrolled in Mandarin II-IV will have classes next year, however, by the end of the 2020 school year, it will no longer be offered. Although many students spoke about how the class benefits them daily, the lack of enrollment is diminishing the course’s longevity. “[This class] flags us each as unique and separates us from others especially when applying to college,” said sophomore Greta Nickerson. In a recent email sent out to Barnstable staff members, Brown explained her reasoning to eliminate the program. In order to support the majority of BHS students budget wise, this was the best decision. She also said she is open to any ideas offered, but until then, she must look towards the budgetary side. Her students are not only trying to squeeze in as much time with their teacher as possible, they are also trying to get in one last memorable trip before the course dwindles away. 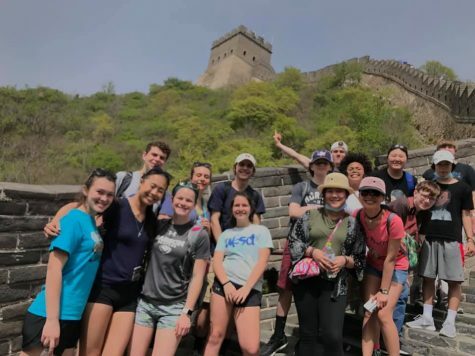 Next year will be last time her students will have a chance to go to China with Wu, which was an “unbelievable experience” said junior Maddie Sawyer, who went on the China trip in 2017. For Wu’s students, the class’s uniqueness makes it special. There is only one teacher, Wu, for only four classes; one for each level. Therefore, the students you start with in year one are the ones you finish with in year four. This is a difference between the other four languages, as they may have multiple classes for only one level. Mandarin students end up being extremely close with their classmates, with friendships lasting years after. “Student engagement is crazy high,” said Wu. It’s important to form strong bonds with your peers, but forming them with the teacher is equally as important, as the students enrolled in this language do. That’s why this news is so devastating to so many. The students view Wu as a friend, role model, and mentor, not just their Mandarin teacher. Wu’s relationship with her students is incredibly strong. “I walk into this class and feel at home,” said sophomore Bella Joiner.